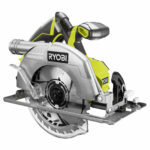 Reports are coming in about people having spotted a new Ryobi cordless jigsaw and that model is the Ryobi 18V brushless jigsaw P524 . This new brushless jigsaw appears to be a step up model to the P23 brushed motor model I reviewed years ago which I thought was a great performer for the price. 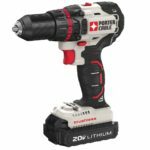 Obviously, the newest biggest feature on this P524 jigsaw is it’s spiffy new brushless motor which will no doubt give users longer runtime per charge and might even squeeze out additional performance, but that is yet to be seen until the reviews are out. One of the new features added is that the base no longer requires a hex key to change and adjust bevel angles as this is now tool-less with a flip out lever to lock and unlock the base. This new brushless jigsaw also does away with a neat feature the original P523 model had which was a feature called “blade saver” that acted similarly to what some recip saws have, which is the ability to extend the shoe base to use the unused portion of a blade, which saves it in a sense to add extra use out of a blade before it gets tossed out. This jigsaw uses T-shank blades in case any were wondering. 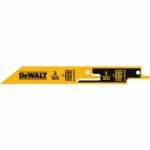 Carry over features include a built in LED light to illuminate the cutting path, a power trigger with a variable speed dial within fingers reach in the top front corner, tool-less blade change clamp and an orbital mode dial with 4 orbital settings. A big thanks to DrewBHAM for spotting this and to Christopher Plank for also spotting and providing actual pictures from his local HD store! According to Christopher, the price of the new brushless jigsaw will be $119 for the baretool. 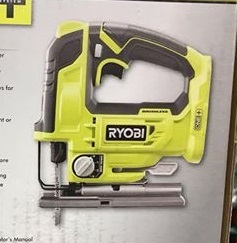 Ryobi isn’t shy about raising their prices lately and charging more with prices closer to the “pro” brands. Sorry about the low res pictures, they are from the actual product boxes and were the best we have at the moment. I will update the pictures when we have access to stock pictures. 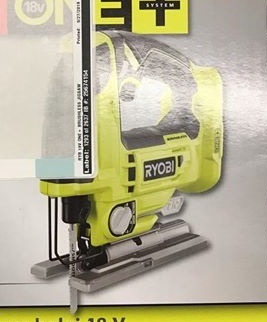 That price seems a little high for a jigsaw but this is around double the price of Ryobi’s brushed jigsaw and that inline with Ryobi’s other brushless tool prices. I am glad that Christopher Plank found this saw in his Home Depot and was able to get pictures of the box along with the price. 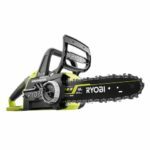 The product info is now up on Ryobi.com.